McNeese State University appears in our ranking of the 10 Best ABA Master’s Degree Programs in the East. The Department of Psychology of Burton College of Education at McNeese State University offers a Master of Arts in Psychology with a concentration in Applied Behavior Analysis and a Graduate Certificate in Applied Behavior Analysis. The Master of Arts in Psychology with a concentration in Applied Behavior Analysis program is designed to provide students with a deeper understanding of human behavior from an array of perspectives. It focuses on the development of both evaluation and intervention abilities. Students take common core psychology courses and then pursue specialization courses. The program requires the completion of a total of 55 credit hours. The courses include Principles of Learning and Behavior, Behavioral Assessment, Introduction to Applied Behavior Analysis, Psychopathology, Conceptual Foundations of Behavior Analysis, Social and Cultural Diversity, Applied Behavior Analysis Interventions, Applied Research Methods in Psychology, Ethics for Behavior Analysts, Experimental Analysis of Behavior, and Advanced Topics in Behavior Analysis. Students are also required to complete multiple internship components in the McNeese Autism Program or the Clinical Applied Behavior Analysis Academy. The program is available both on-campus and 100 percent online. The Behavior Analysis Certification Board approves the Master of Arts in Psychology with a concentration in Applied Behavior Analysis. The Graduate Certificate in Applied Behavior Analysis requires the completion of 40 credit hours. The core courses include Introduction to Applied Behavior Analysis, Conceptual Foundations of Behavior Analysis, Applied Behavior Analysis Interventions, Principles of Learning and Behavior, Behavioral Assessment, Ethics for Behavior Analysts, Verbal Behavior, Experimental Analysis of Behavior, and Advanced Topics in Behavior Analysis. Students must complete a practicum in applied behavior analysis and three internship components in the field. McNeese State University is a public institution of higher learning residing in Lake Charles, Louisiana. It is a part of the University of Louisiana System. It was established in 1939 as Lake Charles Junior College, which was a division of Louisiana State University. The name changed to John McNeese Junior College in 1940 in honor of John McNeese, who was a well-known teacher in the region and the first superintendent of schools in Imperial Calcasieu Parish. 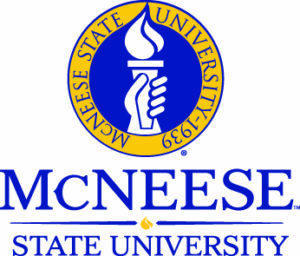 In 1950, the college became a four-year institution and it finally changed its name to McNeese State University in 1970. It gained regional accreditation in 1954 and has had continuous Level IV institution status throughout its history. Today, McNeese State University is home to nearly 7,000 students on its urban 98-acre campus. Students are from all over the nation and about 50 countries worldwide. It uses the semester-based academic calendar. McNeese University offers programs through seven academic colleges and the Department of General and Basic Studies. The colleges include the College of Business, Burton College of Education, College of Liberal Arts, College of Engineering and Computer Science, College of Science and Agriculture, College of Nursing and Health Professions, and William J. Dore, Sr. School of Graduate Studies. McNeese State University promotes innovative instruction methods and service learning opportunities. Students are able to choose from an array of programs in business, engineering, education, communication, visual and performing arts, social sciences, biological sciences, and health care. Majority of programs feature research and internship opportunities. The most popular majors include nursing, business administration, management, engineering, and psychology. The motto of the university is “Excellence with a Personal Touch”. McNeese strives to maintain this moto by helping during times of strife, such as during World War II, Hurricane Audrey, Hurricane Katrina, and Hurricane Rita. The core values of McNeese State University include academic excellence, fiscal responsibility, student success, and alliances with the community. The student to faculty ratio is 21 to one, with about 45 percent of classes with less than 20 students. Notable alumni from McNeese State University include Keith Ortego, Luke Lawton, Leonard Smith, Joe Dumars, Zack Bronson, Willie Mount, Chuck Kleckley, and Andre Dubus. The U.S. News and World Report ranks McNeese State University number 107 to 141 in its 2019 edition of Regional Universities South. Niche ranks McNeese State University third Most Diverse College in Louisiana, ninth Public University in Louisiana, and 11th Best Value College in Louisiana. The Commission on Colleges of the Southern Association of Colleges and Schools regionally accredits McNeese State University to grant associate, bachelor, specialist, and master’s degrees. The Association for Behavior Analysis International accredits the Master of Arts in Psychology with a concentration in Applied Behavioral Analysis. McNeese State University administers various federal, state, and institutional financial aid programs to help students pay for their higher education, including scholarships, grants, loans, and work-study. The Federal Work-Study program is available for students who show a financial need. Students are able to earn money for college-related costs by working on or off campus. They are able to work up to 20 hours per week while courses are in session. The pay is at least the current federal minimum wage, but actual earnings vary on employer, position, and qualifications of individuals. The ABA program prepares students to practice in various community settings as Applied Behavior Analysts. The Master of Arts in Psychology with a concentration in Applied Behavior Analysis from McNeese State University provides graduates with a solid understanding of the field and enables them to develop vital skills to make a difference in the lives of individuals, groups, and communities within the psychology field.